Today, Chief Judge Jon P. McCalla sentenced Arthur Sease IV, former Memphis police officer, to a prison term of life, plus 255 years. 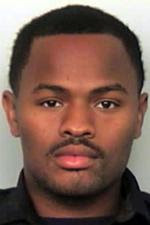 Marketwatch.com said Sease was found guilty of 44 counts of civil rights, narcotics, robbery and firearm offenses. My Harrison, special agent in charge of FBI's Memphis Field Office, said that Sease's sentence is one of the longest ever imposed for civil rights violations, which did not involve a victim's death. "This sentencing sends a serious message that police misconduct will not be tolerated and will be dealt with harshly by our courts," said Larry Godwin, Memphis police director. Memphis CommercialAppeal.com said that Sease began stealing money and drugs from dealers to help pay for his dream of becoming a record producer. But after a few thefts, Sease became greedy and even stole $32,000 in one stop. While Sease received a long and extended punishment for his crimes, he did not act alone. Marketwatch.com reported that Sease conspired with other members of the Memphis Police Department. Apparently, Sease and other officers used power and authority to rob people of drugs and then sell them on the side to earn a profit. Sease committed or was involved in 15 separate robberies. Perhaps Sease received one of the longest sentences because he was the last one to confess. It has been reported that five other police officers confessed. Andrew Hunt was sentenced in February 2009 to 10 years in prison after pleading guilty in September 2006 to a federal civil rights conspiracy, robbery and drug distribution. Antoine Owens pleaded guilty in August 2007 and received a prison sentence of 63 months and three years of supervised release in March 2009. Alexander Johnson pleaded guilty in April 2007 and served 30 months in prison before being released in March 2009. He will be supervised for two years. In September 2007, civilian Laterrica Woods confessed to helping Sease and Hunt with a robbery. Woods also pleaded guilty to a civil rights conspiracy, and received 36 months imprisonment. Woods was released in April 2009 and will be supervised for the next three years. Harold McCall, former Memphis police officer, pleaded guilty to a civil rights conspiracy in May 2007. McCall received a sentence of three years probation, including one year of home confinement in June 2009. Harold McCall, also a former Memphis police officer, pleaded guilty to a civil rights conspiracy in a related case in May 2007 and received a sentence of three years probation including one year of home confinement in June 2009. It sounds like these police officers received a fair and reasonable punishment. All of the officers brought this on themselves. It's hard to claim ignorance or peer pressure when you work for a department that promises to uphold the law and seek justice. As for the 255 years, I find it quite humorous. Even after Sease is dead, he will still be serving out his sentence. I know that might sound harsh but imagining all the cruel and vicious acts he committed, makes me think of a quote from "The Craft." "Whatever you send out you get back times three."